7…Blanding…on railroad and Mississippi River, 5 miles West Northwest of Hanover. 8…Old Hanover…in the far Southwest corner ofthe county on railroad and Mississippi River, 4 1/2 miles South Southwest of present Hanover. 10…Pleasant Valley…on the South County line and the Plum River, 5 miles South Southwest of Willow. 1…Amesville…near Garden Paririe…old stage coach stop on the Old Galena/Chicago Road. 8…Coyne…on the railroad and South county line, 1 1/2 miles West of Huntley. 1…Marcus…on the railroad by North County line, 6 miles Northwest of Savanna. coins which they hid in the fireplace hearth in their cabin, 20 miles from Paducah. cache somewhere near the house and fled pursing lawmen. down shortly after the brothers murder and he was unable to locate the treasure. Cave-in-Rock, in Illinois, they would go across the river to hid their loot. imprisoned for life and admitted they never found the money. buried $300,000 in the area of Harpe’s Head Road near Dixon. It has never been recovered. 1…Jesse James and his gang were force to bury $50,000 in gold coins near Russellville in 1868. The money was taken from the Russellville Bank. It was hidden on the outskirts of town in a cave to the West of the city. Tomorrow from 3 to 6, (Sunday 21 Feb 2016) Sam Milner and I will be signing our Book, Uncharted Waters,40 years of Treasure Hunting, at the Lor-i-lei Restaurant in Islamorada, MM 82, Florida Keys. Uncharted Waters can be found at http://www.treasureexpeditions.com (PayPal accepted) or a check for 24.95 plus 4 dollars for shipping to, Spanish Main Treasure Co. P.O. Box 1733, Tavernier Fl. 33070. Outside United States add 17.00 for shipping. WHO IS CAPT CARL FISMER? Carl Fismer is a world famous Treasure Diver, Cancer Survivor, World Traveler, Television Star and Dynamic Motivational Keynote Speaker. With over 30 years of treasure search and salvage experience, Captain Carl Fismer is one of the most respected and knowledgeable diving professionals in the world. Carl has worked with some of the leaders in treasure hunting. Carl has worked over 30 years with respected Treasure Historian Jack Haskins and worked with Mel Fisher on the Atocha. His area of expertise is shipwrecks… especially Spanish shipwrecks. During his career, he has worked over 300 shipwrecks in the United States, Bahamas, Dominican Republic, Jamaica, the Indian Ocean and Central and South America. 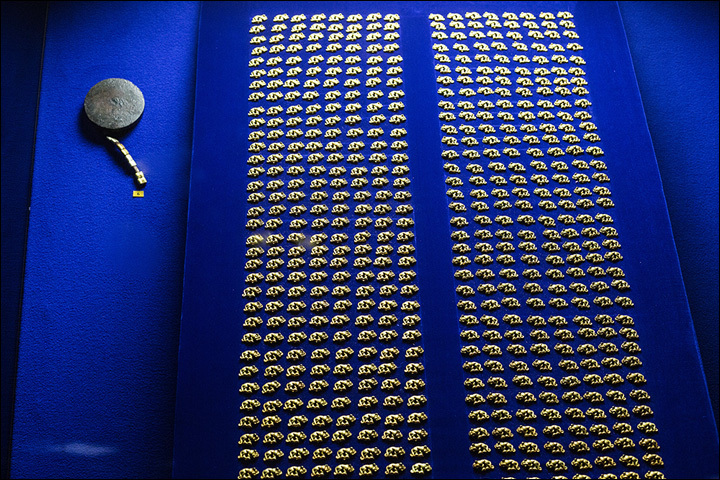 He has recovered millions of dollars in Spanish gold, silver, jewels and other artifacts. “Fizz”, as he is known to friends, directed part of the salvage diving of the Santa Margarita, sister ship to the Nuestra Senora de Atocha which was discovered by Mel Fisher. Then in 1986, he led an expedition to the Silver Shoals in the Dominican Republic, and there located the famed galleon, Concepcion which sank during a hurricane in 1641. In 1992, he traveled to Sri Lanka and dived with Sir Arthur C. Clarke of 2001: A Space Odyssey fame, in association with the Great Basses Reef Treasures. In May, 2010, Captain Fismer was awarded the Mel Fisher Lifetime Achievement Award for perseverance in following his quest for life, his motivation of mankind in the search for knowledge, discovery and the ambitions of the human spirit and the ability to achieve in life what others might only dare to dream. 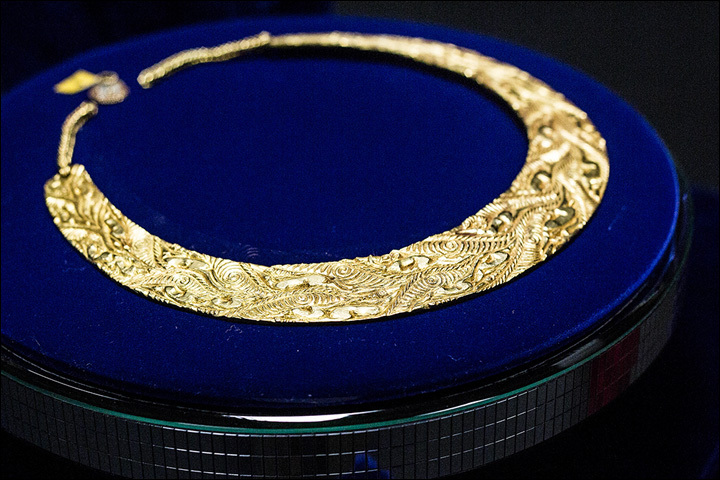 SPANISH MAIN TREASURE COMPANY (SMTC) was founded by Captain Carl E. Fismer in 1980. 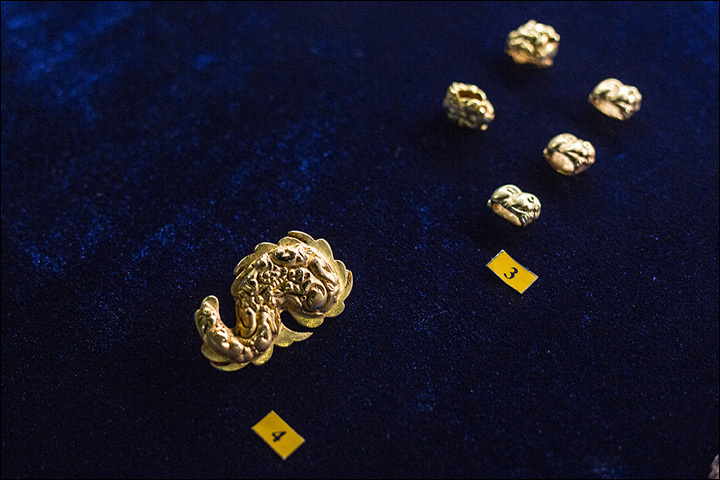 Since its inception, SMTC has salvaged artifacts and sunken treasure from shipwrecks around the world. SMTC maintains a considerable inventory of treasure, coins, artifacts, books and video documentaries for perusal or sale to museums, collectors and history enthusiasts. SMTC specializes in producing treasure-related speeches, treasure-related exhibitions and displays for conventions, theme and entertainment parks, shopping malls, cruise ships and any special occasion. These presentations have proven to increase attendance and interest wherever we go. Carl Fismer lives the life of an adventurer. The type of life that they make books, movies and video games about. Carl Fismer, affectionately dubbed “Fizz”, is a treasure hunter that has dived on some of the world’s most famous shipwrecks. He is often described as a real life underwater Indiana Jones. Carl is an active treasure hunter who travels the world looking for treasure and artifacts. He has worked with Mel Fisher on the world famous treasure ship, the Atocha. Carl Fismer is often called in as an expert on shipwrecks and treasures of the Spanish Main when producers and writers want to add realism to their productions. When Carl Fismer isn’t diving shipwrecks, he tours around the world as a motivational speaker. Imagine your next conference with an inspirational speaker as electrifying as Carl Fismer as your keynote speaker. The excitement of the crowd when they hear that a world famous treasure diver is is going to be featured. Carl’s story is fascinating and will motivate and inspire the room. Carl Fismer delights his audience with stories of shipwrecks, lost treasure, the Spanish Main, and treasure hunting. Carl is a motivational speaker like no other. Unlike usual speakers who are business people or politicians, your audience will be intrigued and inspired by Carl’s unique story. Carl Fismer is a motivational speaker who left an ordinary job to lead the life of a treasure hunter. Carl has weathered hurricanes, starred in his own television series “Treasure Divers”, looked for lost treasure and found millions of dollars of sunken treasure. Pictured: the gleaming riches no-one was meant to see belonging to an ancient nomad potentate, and his queen…or was she his concubine? 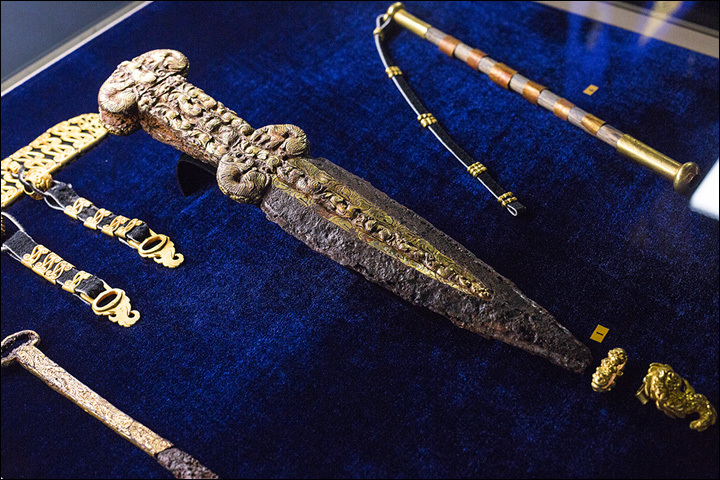 The royal tomb known as Arzhan 2 in the modern-day Republic of Tuva – to many, the most mysterious region in all Russia – is some 2,600 years old but its valuables match any trove from any era anywhere in the world. Here inside a mound 80 metres wide was buried a warrior tsar with a sway that plainly reached over a vast territory of mountains and steppes, and whose magnificent possessions indicated close contacts with other civilisations. Forget the notion of barbaric Siberian nomadic tribes in this epoch: well, don’t quite forget. These ancient warriors used the skulls of their vanquished foes as drinking cups, according to no less an authority than Greek historian Herodotus. And this queen or concubine was almost certainly sacrificed to that she could be buried beside the dead ruler. And yet, as the pictures show, their exceptional artwork predates the influence of the Greeks, and displays a high degree of sophistication. The unknown monarch – a Siberian Tutankhamun – was entombed in this ancient necropolis with 14 horses, a defining symbol of wealth in these Scythian times; each animal was from a different herd. 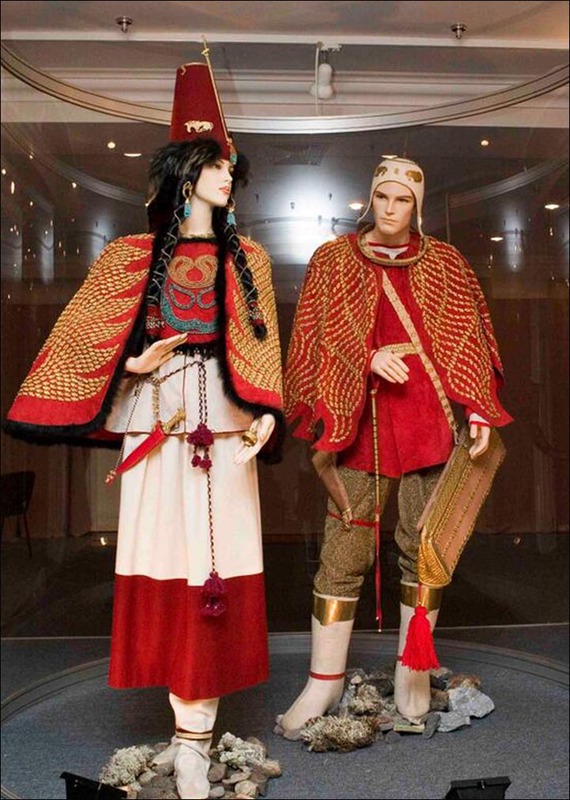 The most breathtaking aspect of this Tuvan find are the contents of the burial chamber of this royal couple – pictured here – located by archeologists some two or three metres beneath the surface. 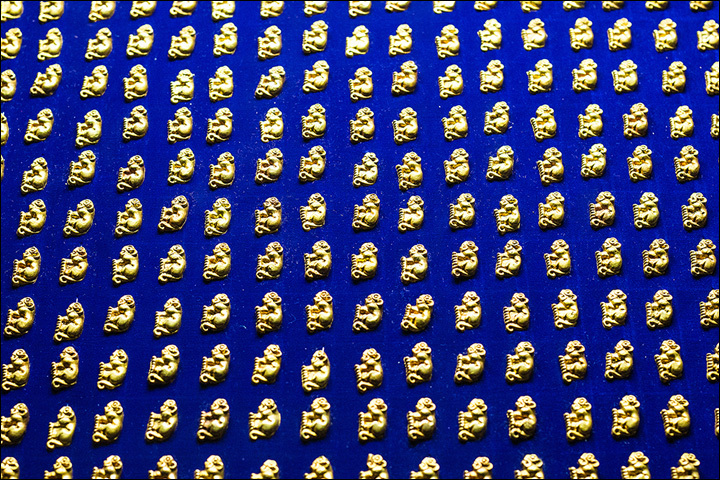 In all, some 9,300 decorative gold pieces were found here, not including the ‘uncountable golden beads’. 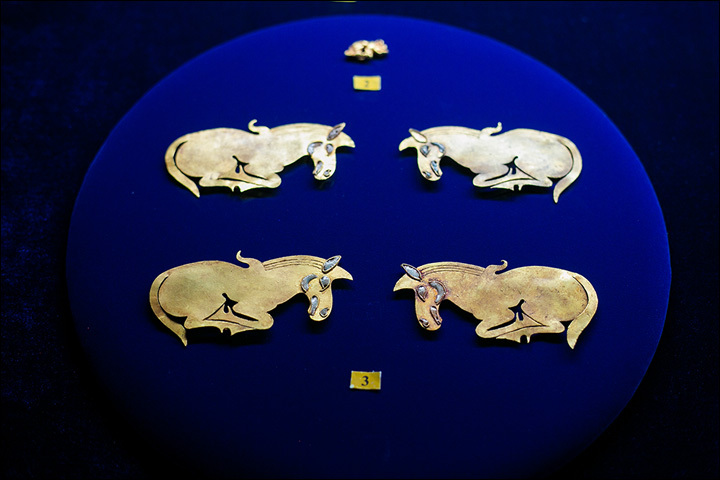 Put in another way, there was more than 20 kilograms of gold, including earrings, pendants and beads, adorning the bodies of the royal couple all made in what is known as Animal Art style. Ancient robbers had sought to raid vast burial mound, just as they had successfully looted the neighbouring Arzhan 1 site, which was perhaps 150 years older. It could be that specially built ‘decoy’ graves threw these ancient looters’ off the scent. 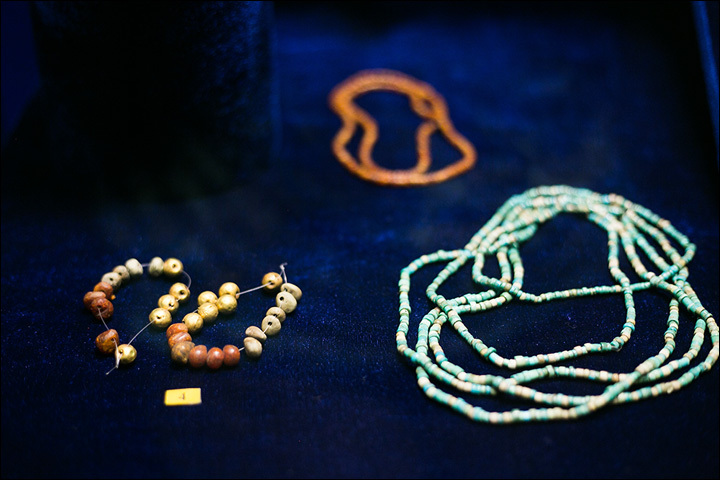 Here in Arzhan 2, thieves had left a trail which archeologists unearthed but fortunately the raiders gave up shortly before reaching these treasures, which are made from iron, turquoise, amber and wood as well as gold. 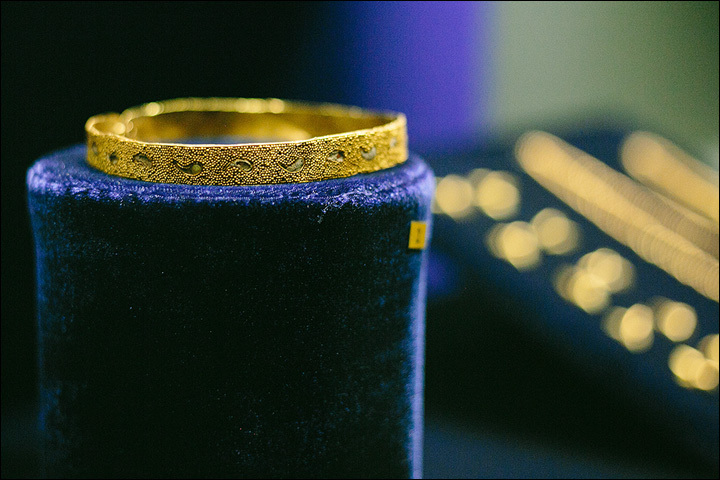 So valuable are they that it is rumoured these wondrous objects – now held mainly in local capital Kyzyl but also in St Petersburg – cannot be exhibited abroad because of the cost of insurance. 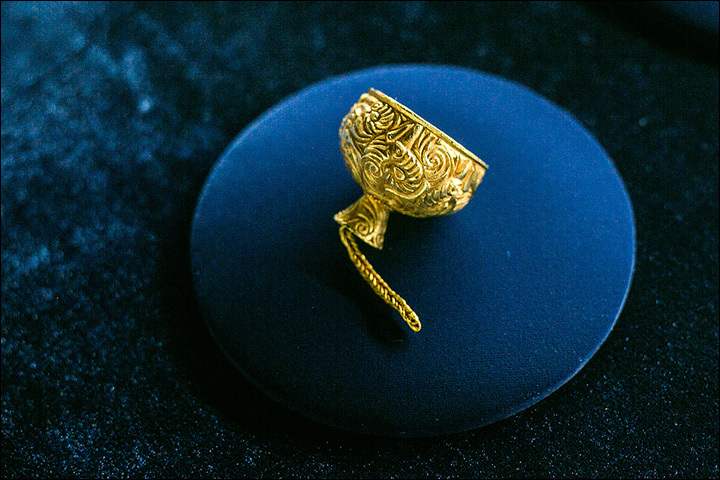 The find has been described by Dr Mikhail Piotrovsky, director of the Hermitage Museum as ‘an encyclopedia of Scythian Animal Art because you have all the animals which roamed the region, such as panther, lions, camels, deer…’ It includes ‘many great works of art – figures of animals, necklaces, pins with animals carved into a golden surface’, he told The New York Times. Covered with two layers of larch logs, the royal burial chamber was carefully constructed like a blockhouse and stood inside a second, outer burial chamber of the same construction. The four walls were presumably adorned by some kind of curtain. Long wooden sticks were found along the walls, which could have been used like curtain rails. The curtains themselves, as well as any other textile remains, were not preserved. 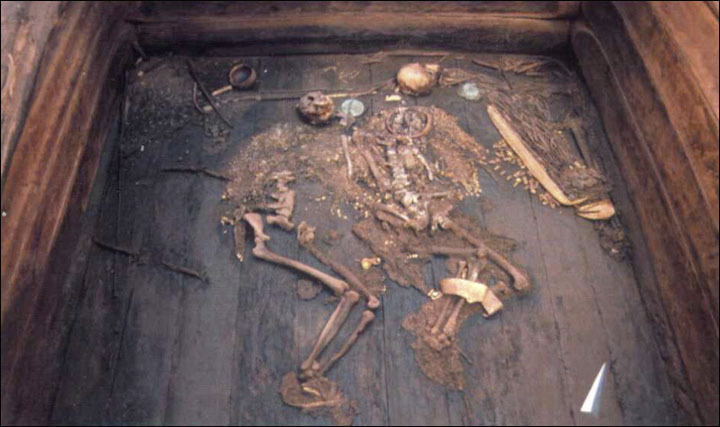 On a carefully made boarded wooden floor – likely softened by felt – were the bodies of this sovereign and his companion. The skulls had dislocated from the bodies because they had probably been placed on a kind of pillow, now decayed. 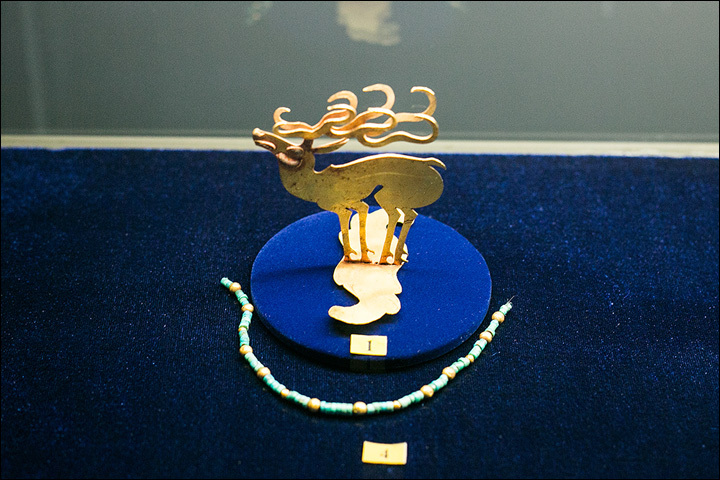 The ancient ruler was buried with a heavy necklace made of pure gold and decorated all over with the carvings of animals. His outer clothes, probably a kind of kaftan, had been decorated with thousands of small panther figures, each 2-to-3 centimetres in length, attached in vertical rows, also forming motifs such as wings on his back. On his boots, maybe originally of felt or leather, thousands of mini-beads – in diameter only about 1 millimetre – had been stitched; on the upper part they ended in golden turndowns. Alongside and under the skull were gold plaques with animal-shaped inlays: four winged horses and one deer originally attached to the headgear. 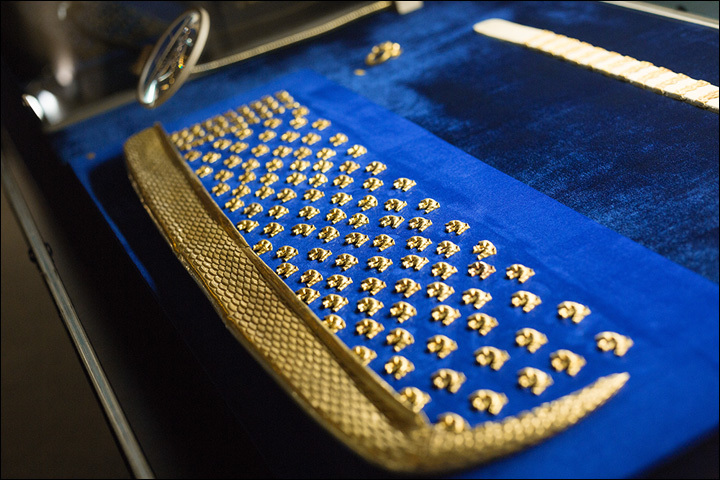 The total weight of his jewellery – including minute glass beads on his trousers – was 2 kilograms. The man’s weaponry consisted of an iron dagger, poorly preserved, on his right hip. 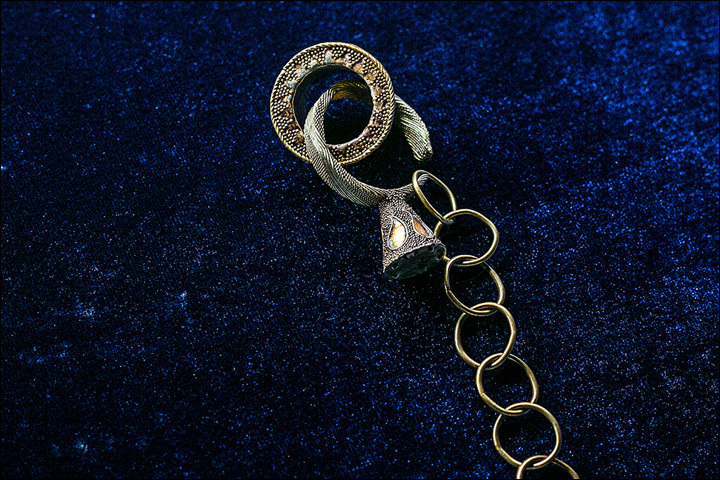 This was connected to the belt by a strap, and both had been decorated with numerous golden adornments. 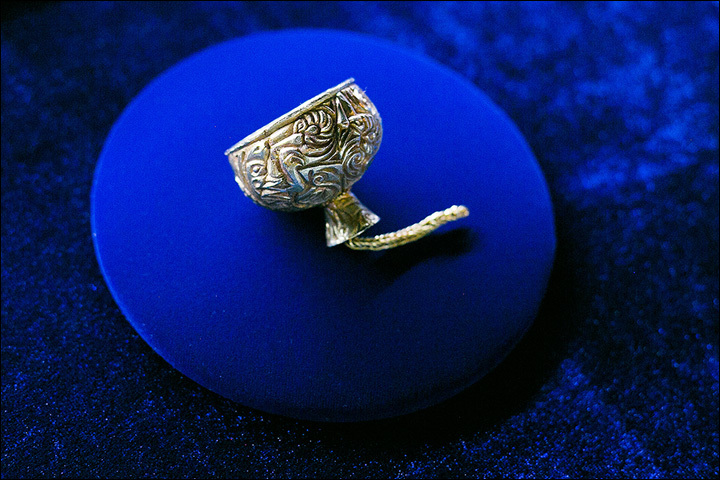 Beside the dagger was a miniature gold cup. On the left side of the deceased was a gold quiver with fish scale decoration. The wooden arrow shafts were painted in black and red. 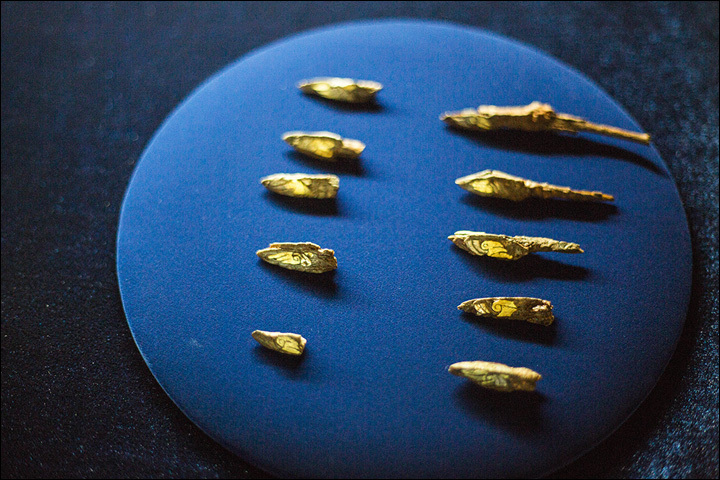 His arrow heads were made of iron, but also showed the remains of golden encrustation. 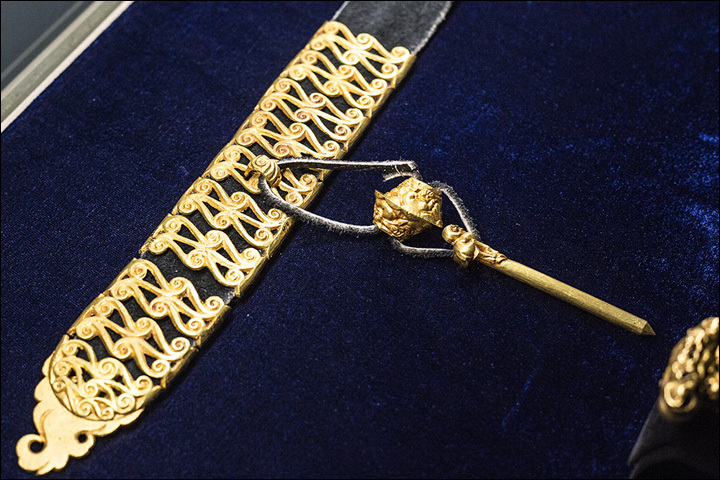 The golden adornment on the belt – used for carrying his quiver into the afterlife – was extremely rich. Below the quiver lay the wooden bow itself, studded with pieces of golden decoration. Between the quiver and the north-eastern wall of the burial chamber were two picks, one of iron with golden encrustation. To the left of the man’s head lay a bronze mirror. A second, slightly larger bronze mirror was located to the left of the woman’s head, a little bigger and with a gold handle. Below the woman’s head were three gold plaques in the shape of animals – two horses and a mystical winged creature – associated with the woman’s headdress. 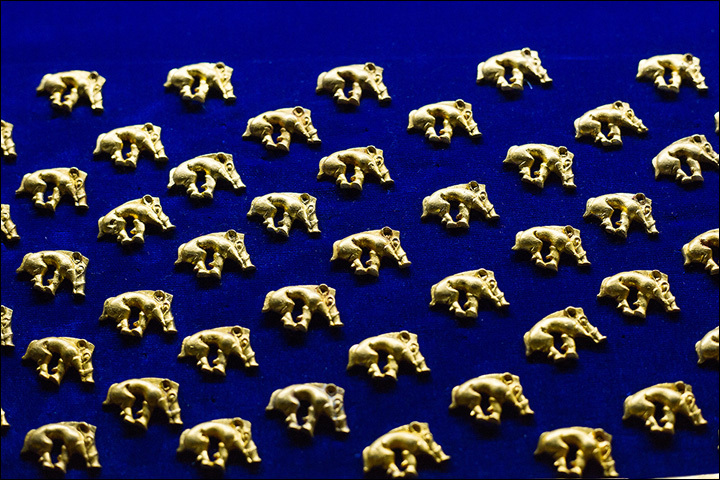 Beside her head was a pair of gold pins, decorated with carvings in Animal Art style. The decoration of the woman’s dress corresponded to the man’s kaftan: thousands of golden panthers form different motifs, again, notably, wings on her back. Around her breasts, archeologists found golden earrings and many small beads of gold, amber, garnet, malachite and other precious materials. Near her feet were thousands of mini-beads made of gold, which must have been fixed onto felt or leather boots which had been inlaid with golden ribbons and granulation. On her right hip hung an iron knife, poorly preserved but with numerous excellent gold belt adornments. 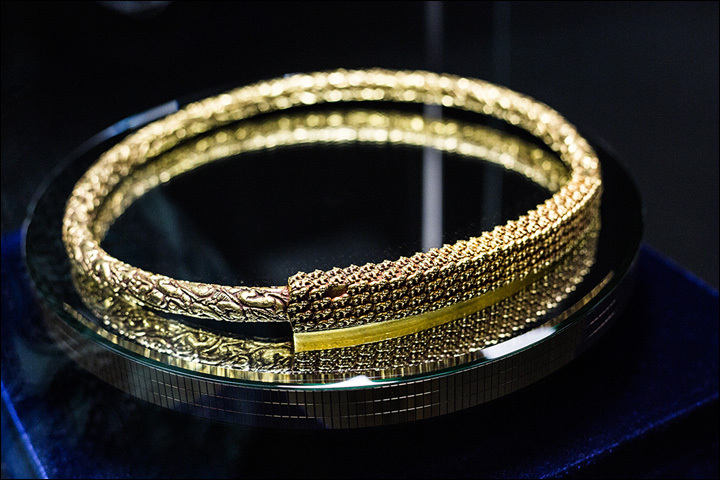 Her wrists were adorned with gold bracelets. Here, too, lay two bronze kettles, seen as exceptionally valuable for these times. In the western corner of the burial chamber were three large amber beads, a wooden cup with a golden handle, a gold comb with wooden teeth, and a heap of various seeds. 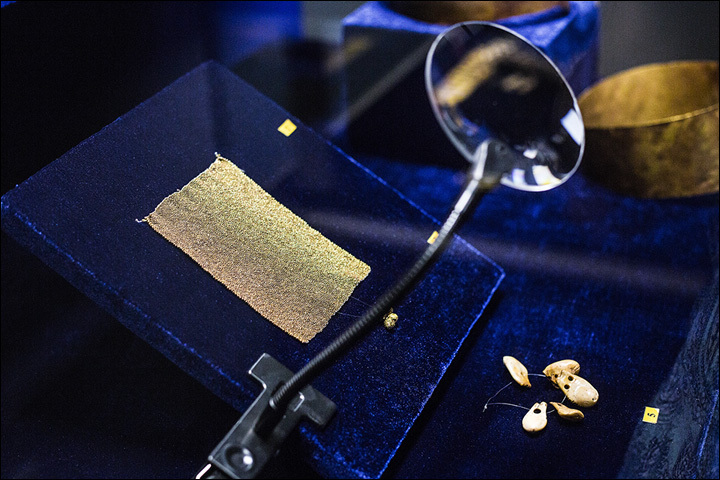 Within the heap of seeds was a gold pectoral in Animal Style decoration and a small bronze cup, still inside a small leather bag. In other burials, which surrounded the prominent couple, bronze knives, an axe-type weapon, known as a Raven’s beak, arrowheads, bronze mirrors, belts, and much jewellery – beads made of glass, stone, amber, and golden earrings – were found. So too were fragments of cloth – felt, fur, and fabric. 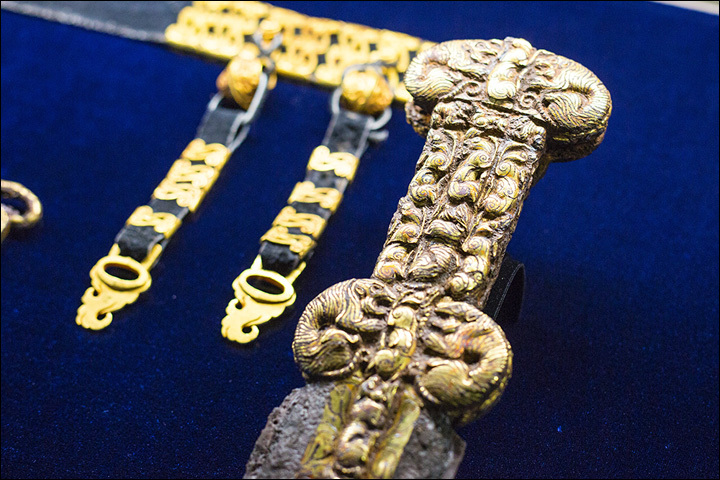 Here too were discovered bridle sets made of bronze, mane ornaments and tail decorations cut from gold sheet. 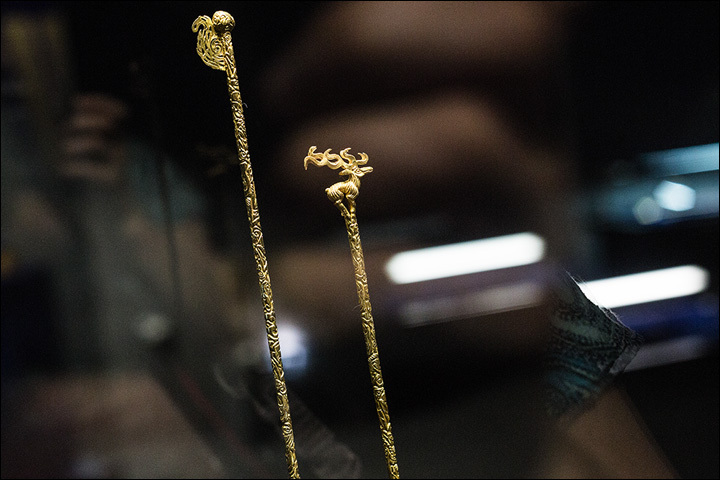 What can we discern of the personal stories behind these ancient royals and their entourage found in Uyuk hollow, northern Tuva, and excavated by a joint Russian-German team between 2001 and 2004? Professor Konstantin Chugunov, highly respected senior researcher at the world famous Hermitage Museum in St Petersburg, who headed the project, said DNA analysis of the group indicated those buried here were from the Iranian ethno-linguistic group. According to the analysis of strontium isotopes in the bones, all those buried were locals except for one person – the ‘queen’, and it gives reason to think about dynastic marriage,’ he said. Totally 35 people – 16 men, 13 women, five children along with bones which cannot be identified by gender, were buried here, as were 14 horses. The ‘king’ was between 40 and 50 years old and analysis of his remains revealed that he died of prostate cancer. ‘This is the earliest documentation of the disease,’ said Michael Schultz, a paleopathologist at the University of Gottingen. It is believed that in the last years of his life, this potentate could not have walked. His female partner, accorded pride of place alongside him, was around 30 years old. Who was she? No cause of death can be detected for her, leading to a theory that she could have been poisoned or strangled, to be buried beside her liege, and to travel with him into the next world: willingly or not, she was a human sacrifice, according to this version. ‘Maybe she was poisoned,’ said Chugunov, ‘or maybe she chose to die to be with her husband.’ We may never know how she died, by natural causes around the same time as her master or in more sinister fashion, but others in the tsar’s entourage certainly had gruesome demises. The scene archeologists uncovered here appears to match with remarkable accuracy a description by Herodotus of the macabre Scythian burial rite. Herodotus, who lived later, from 484 BC to 425 BC, wrote: ‘The body of the king is laid in the grave, stretched upon a mattress. 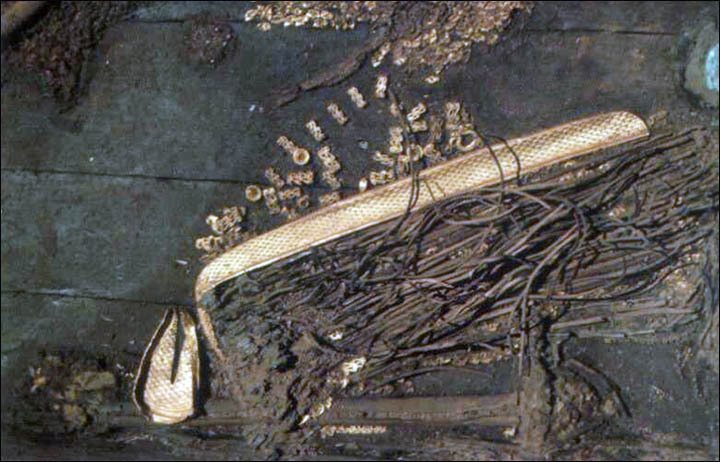 Spears are fixed in the ground on either side of the corpse and beams stretched above it to form a roof. It is believed that when the king died, he was mummified and his body travelled for 40 days across all his lands. And all expressed their sorrow. Then at some sacred place a burial mound was constructed and his entire entourage were slaughtered and buried there. Herodotus did not describe how the ruler’s entourage were killed. While the queen or concubine shows no sign of a violent death – the assumption is that she was poisoned – one woman’s skull in Arzhan 2 was pierced four times with a war pick. A man’s skull still retains the splinters from a wooden club used to kill him. In some cases archaeologists see evidence of blows to the head with kind of poleaxe: in other case, they suppose strangulation or poison. Separately, on these human remains was found evidence of ‘battlefield surgery’ conducted on these warriors during earlier conflicts. Next to the burial mound, to the north, was found a separate burial where ‘chipped’ human and horse bones were mixed. A ‘guess’ is that this fits another Herodotus description of the burial mound being guarded by dead horses pulling wagons with their wheels removed on which were placed dead horsemen. The Greek historian described 50 young men, who were set around the mound. Those, who made the burial, went away and the mound remained. The corpses of the horses and riders were pecked by birds, eaten by animals, and all this decayed. More can be understood about these nomads from the riches lying beside this noble couple, although these ancient people left no written records, and hardly any sign of settlements that – some archeologists suspect – must have existed. Or so it seemed at the time when the discoveries were first made. 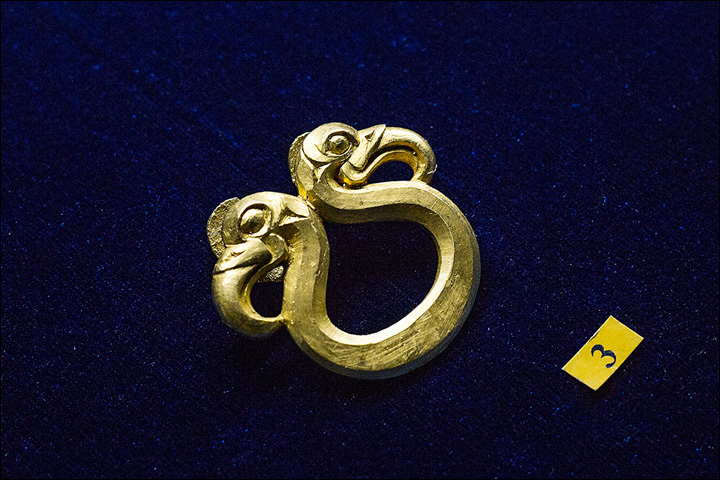 Now it is seen as more likely that these early Scythians were people who knew good artwork when they saw it, and used contacts to obtain, or commission, jewellery and decorations that matched their needs and tastes. Not that anyone was meant to see these treasures encased in the burial tomb. Some probably originated on the territory of what is now present-day China; others owe their origins to the Near East, with more seemingly made by Scythians in non-nomadic settlements. Some treasures came from a distance of between 4,000 and 5,000 kilometres from this burial mound, yet at this point there were no contacts with the Ancient Greeks. 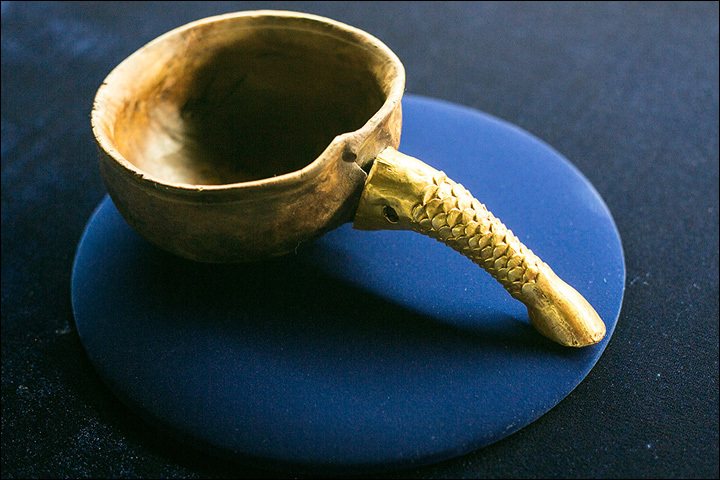 Even so, the treasures suggest the lost civilisation of Scythians were culturally more advanced that was once supposed. 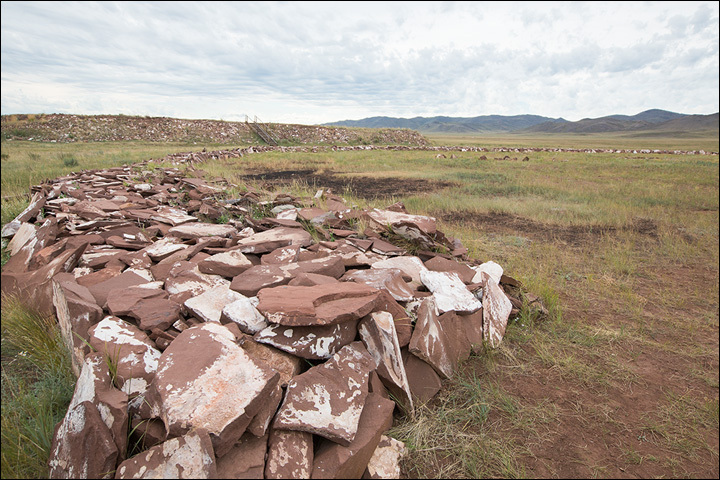 The experts surmise that it was Scythian craftsmen who cast the daggers, arrowheads, and gold plaques found at this site. 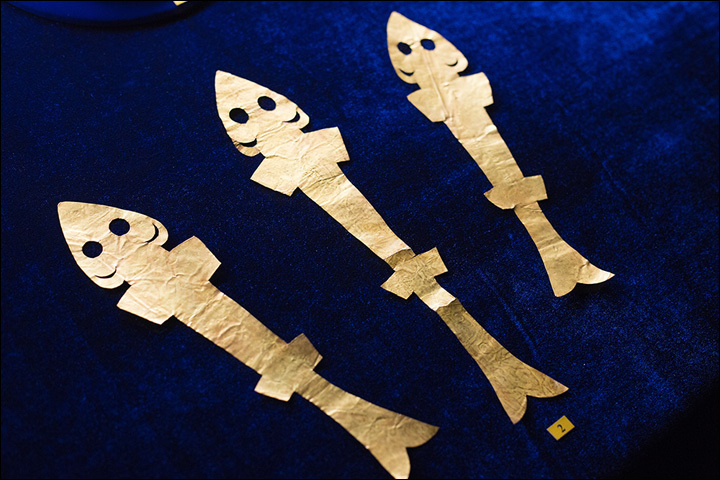 Decorations on the akinak – or short sword – show similarities to patterns used in Eastern Zhou (Eastern China) at around the same period. Bronze jars found in Inner Mongolia are compatible to a small bowl with horizontal a loop-like handle from the main burial in Arzhan 2. 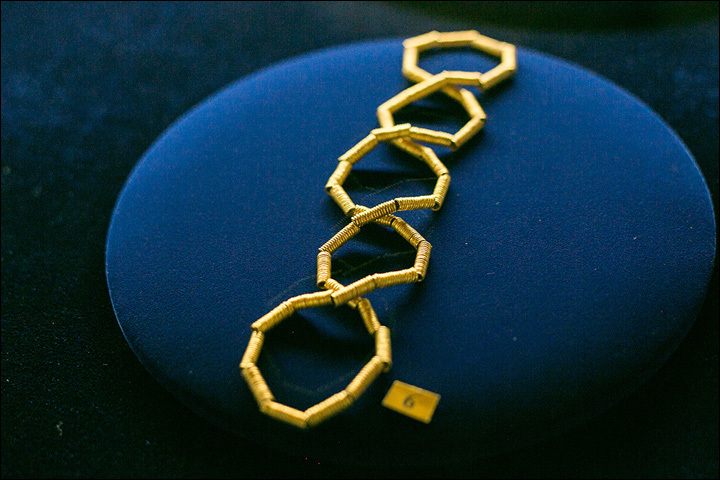 The same applies to methods used in embroidery and the manufacture of earrings, the latter resembling a technique used close to the Aral Sea, some 3,600 km distant. Remains of fruit and seeds of plants found at Arzhan 2 had also come from far afield. Geneva (AFP) – A Swiss fruit-and-vegetable farmer stumbled across more than tree roots when inspecting his cherry orchard recently, uncovering a massive trove of coins buried some 1,700 years ago, archeologists said Thursday. The trove of more than 4,000 bronze and silver coins dating back to Ancient Rome and weighing 15 kilos (33 pounds) was discovered in Ueken, in the northern canton of Aargau, the regional archeological service said, describing it as one of the biggest such treasures ever found in Switzerland. A farmer had made the spectacular discovery back in July, when he spotted a molehill with some shimmering green coins. A few months earlier, remains of an early Roman settlement were discovered in a dig in the nearby town of Frick, so the farmer suspected he may have found Roman coins. He contacted the regional archeological service and his suspicions were confirmed. 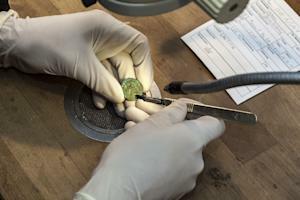 The service announced Thursday that after months of discreet excavations, a total of 4,166 coins had been found in excellent condition. Their imprints remain legible, allowing an expert to determine they date back to Ancient Rome, stretching from the rein of Emperor Aurelian (year 270-275) to that of Maximilian (286-305), with the most recent coins dated to year 294. “The orchard where the coins were found was never built on. It is land that has always been farmed,” archeologist Georg Matter told AFP, explaining how the treasure could have laid dormant for so long. The coins’ excellent condition indicates that their owner systematically stashed them away shortly after they were made, the archeologists said. 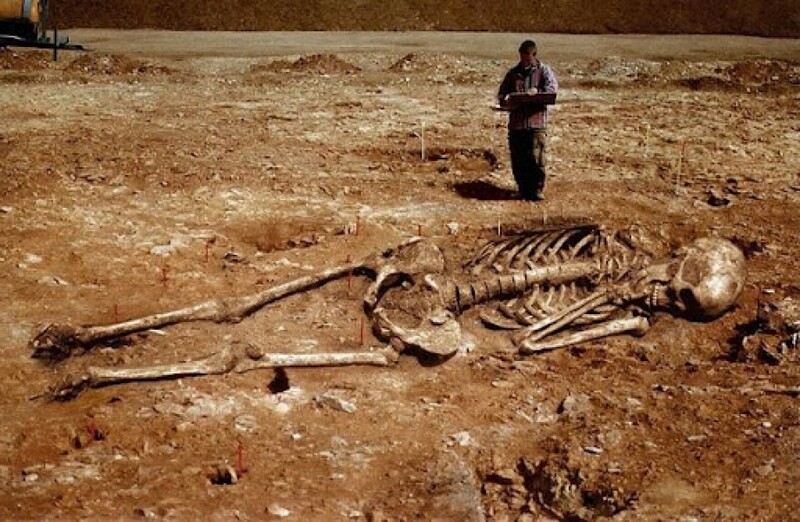 For some reason, the owner had buried them shortly after 294 and never retrieved them, the archeologists said. Some of the coins, made mainly of bronze but with an unusually high silver content of five percent, were buried in small leather pouches. The archeologists said it was impossible to determine their original value due to rampant inflation at the time, but said they clearly must have been worth at least a year or two of wages. How much the coins are worth today is beside the point, Matter said, pointing out that the farmer would not be allowed to keep his treasure. 1. In the rocky area known as Hell’s Half Acre at the foot of South Mountain, a cache of between $200,000 and $1 Million in silver bars are buried. The father of a Spaniard named DeGrau worked a rich vein of Silver near Bristol with a group of other prospectors. They amassed such a large quanity of silver ingots that they had to leave a huge amount behind when they left the area. The mining equipment and silver bars were sealed in a cave, but they were never able to return and retrive it. 2. Four Spanish deserters in 1752, left the ship San Jose with 80,000 gold doubloons when the vessle was laid up for repairs at New London. While trying to make their way to Quebec, Canada, they were attacked by Indians, their pack horses were killed, and they had to bury the gold in a space between 2 giant boulders in the area known as Hell’s Half Acre. They fled the indians but never returned. 3. During the Revolutionary War, British Soldiers were seen carrying a heavy payroll chest off of Long Point on Gardiner’s Island. They did not have the chest when they left and it is persumed that they buried it somewhere on the Island. 1. Chimney Point…on Lake Champlain near Hwy 17. 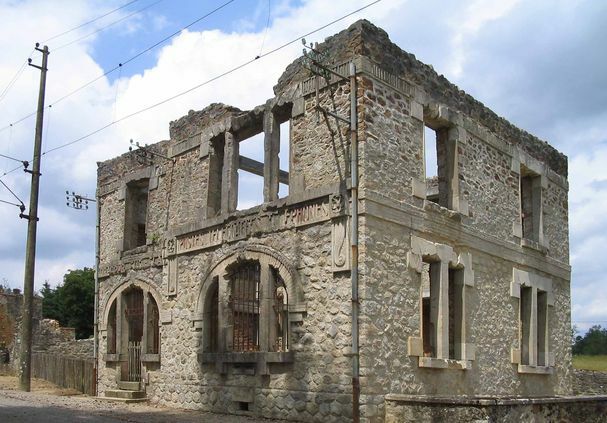 It was a French trading center in 1690, was attacked and burned in 1759 by Indians. 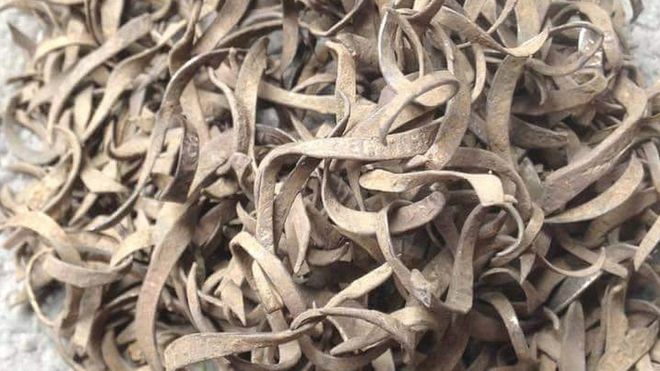 Hundreds of 16th Century coin clippings have been discovered in a Gloucestershire field. 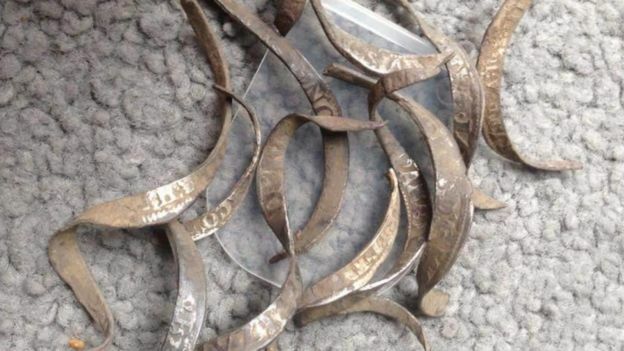 The 500 silver clippings, dubbed the Toenail Hoard, were unearthed by Gavin Warren using a metal detector in the Forest of Dean. 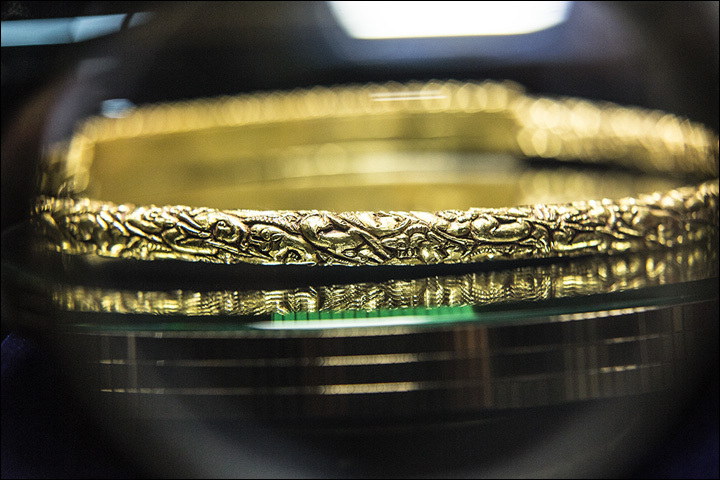 Shaved from the edges of coins dating back to 1560, the precious metal would have been melted down and sold. Mr Warren – who unearthed the Yorkley Roman coin hoard in 2012 – said he was testing out a “beginner’s metal detector” in a field, when he made the discovery. “It was about four inches down, all in a big ball – we thought it was pieces of fencing until I spotted the words James I and Elizabeth I,” he said. With hanging literally too good for those caught clipping the edges off silver coins in the 17th Century, Mr Warren said whoever buried the hoard had been risking their life. “For women the punishment was being burnt at the stake, for a bloke it was being hung, drawn and quartered,” he said. Mr Adams, from the Portable Antiquities Scheme, said the hoard, currently being catalogued at the British Museum, was not only “one of the biggest” but a “fantastic bit of social history”. “The earliest clippings date from the reign of Elizabeth I, so 1560s to 1570s, and the latest from 1645,” he said. 1. A man named Evans buried his life savings around the 1900’s in 2 half gallon fruit jars. It was all in $10 and $20 gold pieces. The location is somewhere on his farm, 3 miles East of Baskin. 1. Reynolds, on railroad spur and North County line, 2 miles Southwest of Sondheimer. 4. Mulikens Bend, on the Mississippi River, 2 miles South Southeast of Omega. 8. Richmond, 2 1/2 miles South of Tallulah on the junction of Brushy and Round Away Bayous. Was a prosperous trading center, burned down twice, accidently in 1859 and by Federal Troops in 1863. Only foundations remain. 12. Ashwood, on bank of Lake Palmyra, old river landing. 13. Old Delta, located several miles East of present day Delta, town was move when the river changed course in 1876, the old townsite later became a haven for bootleggers and robbers. 16. Quimby, on railroad and South County line, 2 miles West Southwest of Afton. 19. Griffin, on the Mississippi River, 13 miles due East of Afton. 1. Legend puts an early 1800’s outlaw and robber in the area of the Mason Hills for hidden loot. It is a stretch of Highlands across the Mississippi River from Vicksburg, Mississippi. 2. Indian Gold and treasure was supposed to have been found by Sieur de La Salle in 1682 at the great Indian town of Taensas. The town was located somewhere below Grand Gulf and Vicksburg on the West bank of he Mississippi River. 1. 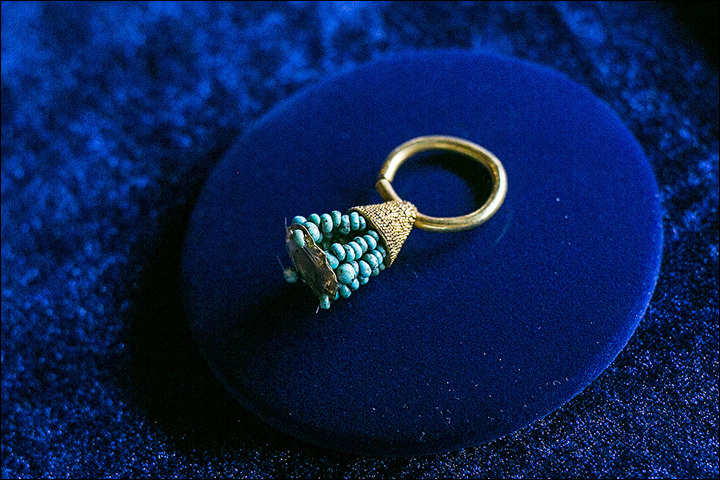 The mouth of the Bayou Amulet was a trading rendezvous location. Artifacts should be found at this location. 2. A man named Bullen lived West of Delhi on Eudora Road during the Civil War, later named McLaurin farm, fearing the Federal Troops he took his life savings in gold coins and dropped them into a well. He died a few days later and the gold has yet to be recovered. 3. A famous local outlaw named Samuel Mason buried his loot and treasure near Delhi, but non has been recovered yet. Utah…Lost Treasure….The Lost House Range Placers.. The explorers and surveyors of the American West are an august company that includes the great Lewis and Clark as well as a host of other renowned pathfinders. Men like Fremont, Long, Stansbury, Pike, Abert, and Beale opened up the west as surely as the mountain men who preceded them and the sutlers and traders who followed them. One of the most promising of these early explorers and surveyors was an Army engineer and West Point graduate named John W. Gunnison. The idea of an intercontinental railroad stretching from coast to coast was not new in 1853. Fremont’s expeditions during the 1840’s were focused on finding the best route through the mountains for a railroad. In 1853, when an expedition was mounted to survey the west-central portion of Utah, John Gunnison was a natural choice to lead the party. His credentials were impeccable. He had cut his teeth as a surveyor for the Stansbury Expedition in 1849 and he knew the central Utah area well. Gunnison assumed command of the party, which included two survivors from Fremont’s disastrous fourth expedition of 1848, Richard Kern and Frederick Creutzfeldt. Kern was the expedition’s artist and topographer while Creutzfeldt served as botanist. The Gunnison expedition entered Utah Territory in the fall of 1853, passing through the town of Manti on its way to Fillmore. From Fillmore, the party traveled west, reaching the Gunnison Bend of the Sevier River, southwest of present-day Delta. To the west, Gunnison could see the wrinkled peaks of the House Range rising up from the Sevier Valley. To the southwest, he could see the meandering course of the Sevier River as it disappeared toward Sevier Lake. This was a good place. They made camp. The following morning, the Gunnison Expedition awoke to the sounds of war cries and rifle shots. The end had come. A band of 30 or so Pahvant Indians descended upon the hapless explorers, killing all but four of the party. The dead included the leader, John Gunnison, and the two veterans from Fremont’s expedition, Kern and Creutzfeldt. As he gazed westward the evening before the massacre, Gunnison may have been contemplating a route through the House Range into the Tule Valley beyond. The House Range stretches some 60 miles in a north-south direction and forms the western boundary of Sevier Valley. It extends from Sand Pass southward to the Wah-Wah Valley. Along its entire length the range is no more than 10 miles wide. House Range is transected by three major passes. Dome Canyon Pass is the northernmost pass, Marjum Canyon lies eight miles to the south, and Skull Rock Pass, south of Sawtooth Mountain, forms the southernmost and main portal through the range. The House Range still holds many secrets. Prospectors have roamed these mountains for over two centuries. Evidence of early Spanish mining activity still occasionally surfaces. Caches of old Spanish tools and mining equipment have been discovered in the central part of the range, near the only major gold-producing area in the entire county. 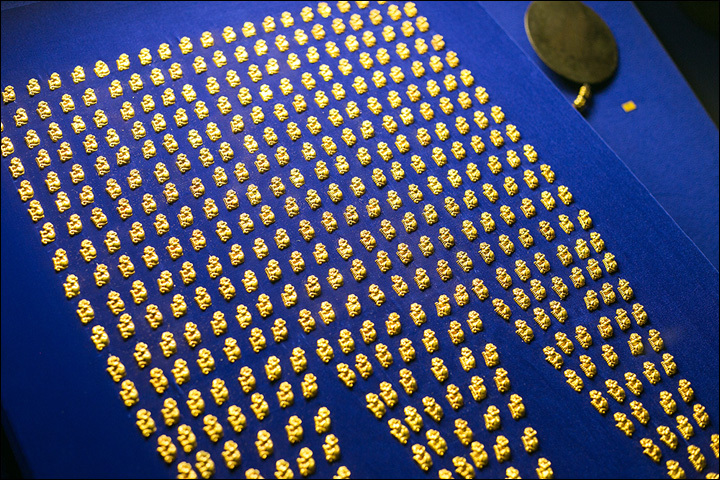 Millard County has never been a major producer of gold. Only 500 ounces are officially recorded for the county. Most of this production hails from the small placer deposits of the House Range. Located in North Canyon and Miller Canyon, the gold placers were worked extensively during the 1930’s. Surely more than 500 ounces of gold were taken from the two canyons during the depression years, not to mention the efforts of the early Spaniards in the area. One story in particular has come down to us regarding an incredibly rich placer deposit somewhere in the House Range. 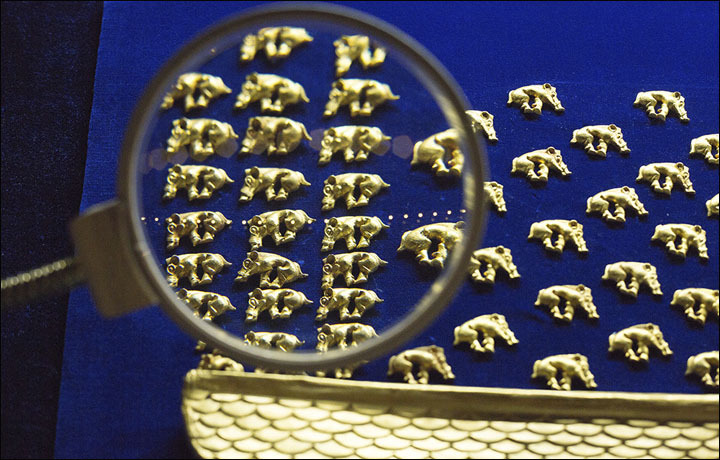 In a single transaction, the discoverer of this placer sold more than 300 ounces of gold – 60% of the total recorded production for the entire county! The discovery occurred sometime during the late 1930’s. A Mexican sheepherder working in the House Range stumbled upon a glory hole of placer gold somewhere on the slopes of the mountains. The deposit must have been rich for the Mexican turned up in the nearby town of Delta with several sacks of fine gold dust. On one of his visits, the sheepherder sold more than 20 pounds of gold to a local doctor. Of course, the Mexican never revealed the location of his find and soon dropped out of sight. He was never seen again. Prospectors have searched the House Range for many years but the Mexican’s lost placer remains hidden to this day.